Under construction in Dhaka, Bangladesh this mall will be the largest in South Asia at 4 million square feet.Jamuna Future Park (abbreviated JFP) is the largest shopping mall in South Asia, located in Dhaka, Bangladesh. It was inaugurated on 6 September 2013. 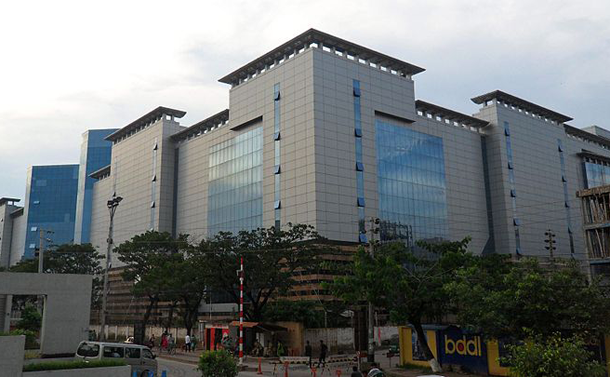 The construction started in 2002, by Jamuna Builders Ltd., a subsidiary of the Jamuna Group. However, due to its slow development of construction, the exterior was completed in 2008. This is also the 12th largest shopping mall in the world with a gross leasable area of 4.1 million sq ft and total area of 5.45 million sq ft.